A Painful Reminder | Peter M. Schloss | J.D. - Mediator. At about 9:45 a.m. on August 6, 2010, 25 miles north of Vicksburg Mississippi, John Bodie drove his small pickup truck south on Mississippi Highway 61. John is an older gentleman who bears a passing resemblance to the actor, Ed Asner. John is of retirement age. One of his joys in life is fishing. On this day he is pulling a trailer and his small green flat-bottomed fishing boat. The highway closely follows the course of the Mississippi River. It is a warm day, hot by usual standards, but only warm by the measure of the last few days. Highway 61 is a typical secondary highway in Mississippi, two undivided lanes of concrete and asphalt with only a narrow unpaved shoulder of gravel and debris. The speed limit is 65 miles per hour, but passenger cars, logging trucks and farm semis often push the limit a bit. As he navigates a long bend in the road, his attention is drawn to a line of similarly clad bicyclists. 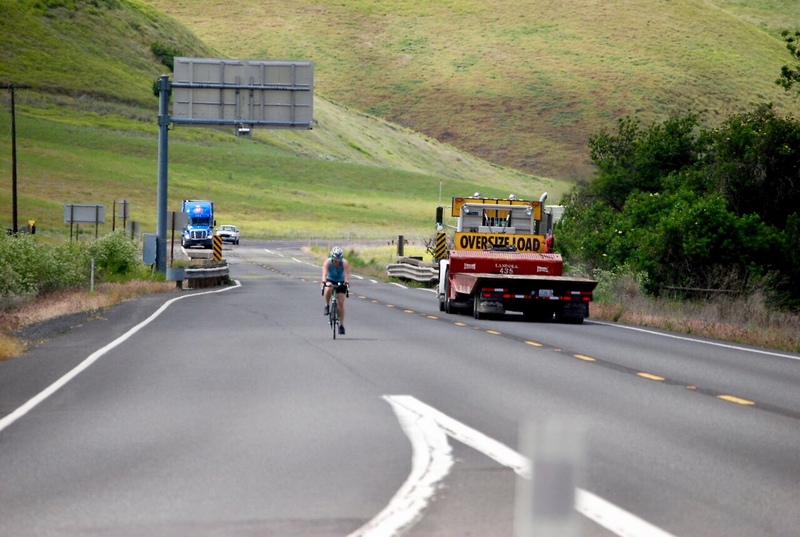 John’s pulse quickens as he maneuvers his truck and trailer into the oncoming lane in order to provide a margin of safety for the cyclists. He looks into his rear view mirror and is haunted by the face of the lead cyclist… it has been over 20 years. “Don’t let it happen to them.” he thinks, over and over. John begins to look for a place to pull off the road. He feels compelled to act by a ghost from his past… a painful reminder. As I lead our line of cyclists south on Mississippi Highway 61 an older pickup truck pulling a fishing boat passed us on our left. This courteous driver had given us more room than most drivers, which was especially noteworthy on this well traveled but narrow stretch of highway. On highway 61 we are denied the refuge of even a small shoulder at the side of the road. A few minutes later I see that the truck, boat, and trailer have come to a stop on a flat area of grass far to the right of the roadway. The driver, a heavily built older man, wears loose fitting faded jeans, an equally faded western style shirt and a sweat stained wide brimmed straw farmer’s hat. He stands next to the driver’s side of his vehicle. He is flagging us down… I am the first to come to rest next to him. Is he in trouble? Is his scowl a sign that he angry with us? His face gives no clues. His wide tooled leather belt has multiple images of the Confederate “Stars and Bars” … I am apprehensive. The driver handed me a simple white business card, “John H. Bodie, trucking”. He took my hand and held it longer than is common for most handshakes. I said that I would be careful… my words were repeated by the other cyclists. There was relief in the way that John’s brow relaxed and his hard eyes grew kinder. He got back into his truck and repeated to all of us, “Please be careful”. Another embrace of my hand through the open window of his truck, and we parted. John’s painful memory returned to his past and became a part of ours. I look forward to hearing more from you Pete. You have a way of taking me to where your stories happened. Great adventures. I recall you telling me this. I feel John’s pain–I can only imagine how hard it must be to live with this happening. Do be careful as you and Chris set out on your next journey–in a few days.